What’s the difference between an Enrolled Agent and a CPA? 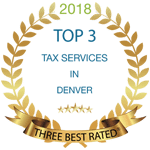 Determining who can best help you handle issues with the IRS is one of the most common questions we receive from True Resolve Tax Professionals. Watch the video below for more information on the differences between CPAs (Certified Public Accountants) and Enrolled Agents for meeting your accounting needs. Previous Post How to Complete IRS Form 433-F Next Post Do I need a tax attorney for IRS problems?